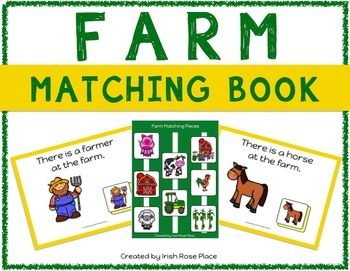 This adapted book has 12 matching pages with Farm Vocabulary including barn, cow, horse, sheep, rooster and farmer. 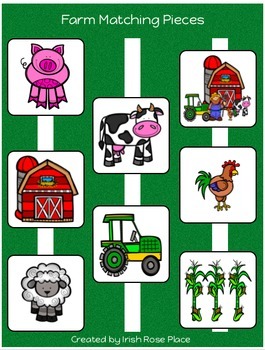 Each Farm word has its own page with a simple sentence. There is a clearly defined box for the students to place the matching picture. There is a cow at the farm. 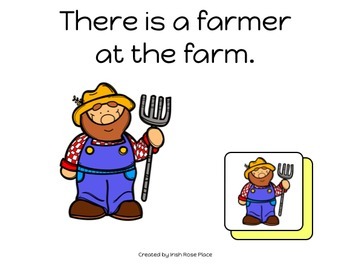 There is a farmer at the farm. 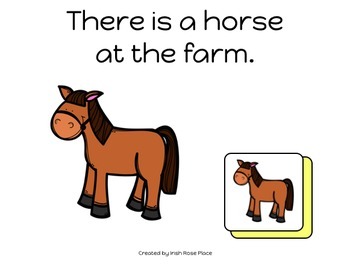 This adapted book is perfect for children in your special education classroom with autism, learning disabilities or other developmental disabilities. Read the book together during 1:1 Work Time or Group Time. It is also a great Independent Work Task!